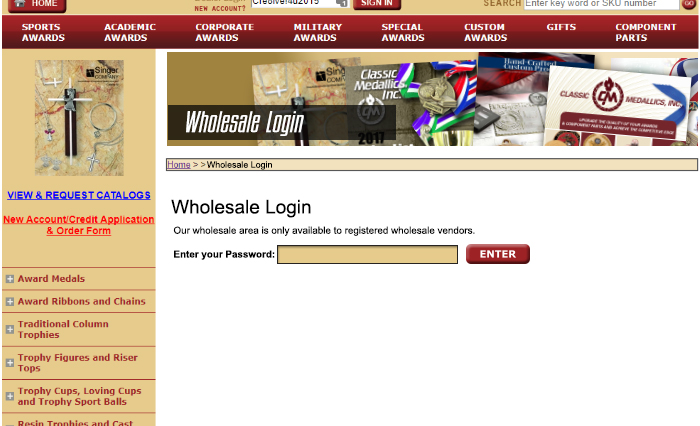 2) or, open a completely separate store just for wholesale purposes and password protect the entire wholesale store. With our innovative password protection system, you no longer have to do either of the above. Instead, you can create a password-protected area right within your store editor. This area works exactly like any other section in your store, so you can add sub-sections and products to the password-protected area exactly the same way you do with the "normal" sections. However, this area is only accessible to those whom you provide a password.